A beautiful and unique one-shouder full length dress in taffeta. 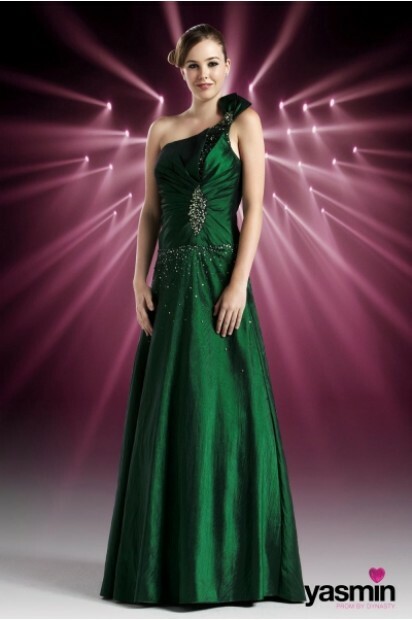 The taffeta is gathered across the bodice and is decorated with a gorgeous diamante, sequin and bead motif at one side. The single strap is scattered with sequins, diamantes, beads and coloured gemstones which are coordinated onto the top of the skirt. The strap splits off into three narrow, embellished straps at the back. Simply stunning!